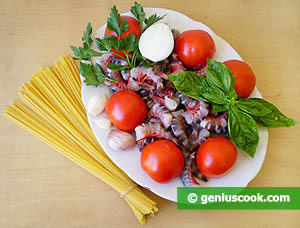 In Italy, and more precisely in Naples, as April approaches, the fishing season for shrimp and squid is in full swing. Fried shrimp and squid are considered delicacies. Crowds of tourists who come to Naples visit the restaurants and cafes to enjoy famous Neapolitan pizza Margherita and try amazing fried shrimp and squid (Fritto misto di pesce). This lip-smacking dish is a source of essential nutrients that support our health. 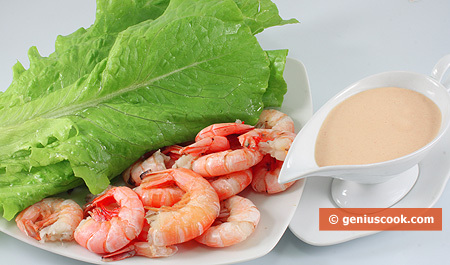 The flesh of shrimp contains vitamins B1, B2, phosphorus, calcium, 16% proteins and 1.6% fat. 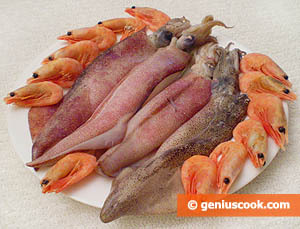 Delicious and tasty squid flesh provides 12.60%proteins, 1.74% fats and 0.66% carbohydrates. Wash and carefully peel squid trying not to damage the skin. Put shrimp in a colander, rinse well in running water and drain. Cut squid body into rings and chop tentacles. 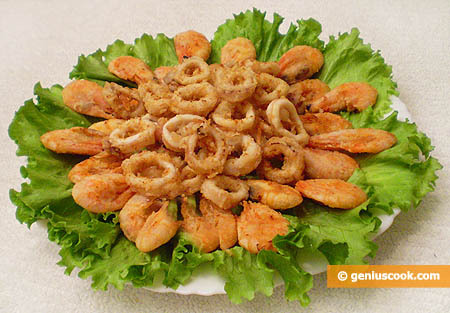 Roll shrimp and squid rings in flour. 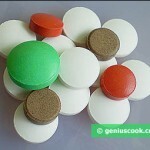 Shake off excessive flour. Fry over high heat but take care not to burn. Reduce heat to medium if needed. Put enough shrimp and squid to cover the bottom of frying pan. Fry for 4-5 minutes until golden on both sides. 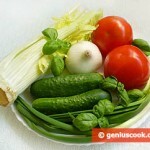 Serve hot, or cold with lettuce leaves. Fried shrimp is so tasty and crispy that you can eat them in their shells, removing only heads and legs.